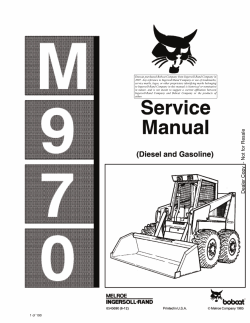 Bobcat Service Library 2013, operator's and maintenance manuals, service manuals, diagrams for all Bobcat production., BOBCAT workshop manuals for all Bobcat production bobkat Bobcat Electronic Spare Parts Catalogs, Service and Workshop Manuals, Service Information, Wiring Circuits and Hydraulic Shematic Diagrams, Diagnostic equipment. 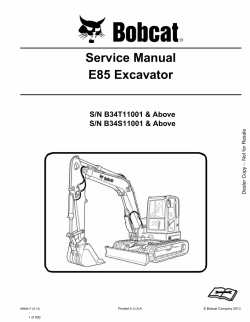 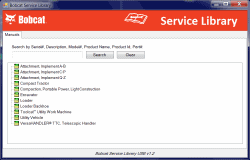 Bobcat Service Library 2013 (16 Gb USB Flash) contains operator's and maintenance manuals, service manuals, electrical diagrams, hydraulic diagrams and etc. 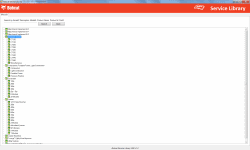 All documentation in PDF files.